China is getting pretty good at aggressively shielding local manufacturers from the global competition, and using every slip to hone in the message of the evil foreign companies doing bad things in the country. It happened with Apple, which has bore the brunt of the US foreign policy repercussions, with people in China smashing their iPhones after the South China sea ruling, or making up bogus patent claims to impede Apple's sales in the country. Fast forward to the Note 7 recall process, and you can rest assured that China's CCTV issued a damning report on Samsung's "discrimination" against Chinese users. According to the state's international broadcaster, Samsung has handled the recall very poorly in the country, only issuing a brief statement on the matter, and recalling a fraction of the Note 7 units in the country. Apparently, since in the US Samsung issued a formal apology, and an official recall together with the U.S. Consumer Product Safety Commission, offering various options for returns, refunds and exchanges, it shouldn't have denigrated China by not following the same playbook there. "Samsung's discriminatory policy has caused discontent from Chinese consumers," added the report, and the whole attitude was "full of arrogance". Samsung issued a statement in China that only a few thousand Note 7 units need replacement because... the ones meant for and made in China simply don't need to be replaced. The units primed for exchange or refund in China were sold by a third-party vendor before the official launch, and featured batteries made by Samsung's SDI subsidiary, which had a production flaw in them, and these are the subject of the global recall. The ones made in China comply with local regulations and include batteries made by the China-based manufacturer ATL, which are produced up to Samsung's specs, and are safe to use. 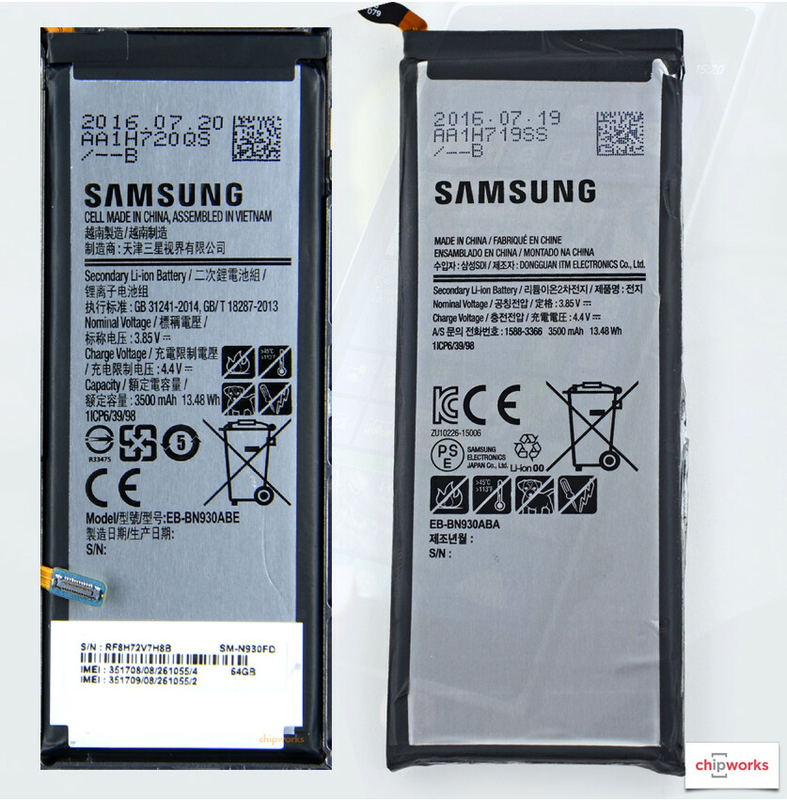 In fact, Samsung is using those same ATL batteries in the "safe" replacement Note 7 units that it is now shipping to customers, but why let facts get in the way of a good narrative. One bad press after another. Do I feel sorry for Samsung, the answer is I am glad I am not one of their Note 7 customer. Will be very piss with all the inconvenience. Honestly, I really don't see how this is bad press for Samsung. They completely bullshi**ed about the devices in China being dangerous and used it as a reason to smear foreign competition in order to basically boost the sales of Chinese companies. How exactly does that make Samsung look bad? I come from an consumer stand point that the tools that I bought should bring me benefits rather than inconvenience. Cool, in no way shape or form does that address what the issue at hand is in this article though. This has absolutely nothing to do with you or I as consumers, and everything to do with a nation's approach to competition in business. Yes. I really know China's anti competitive ways. Your politicians are sell out that took short term gain over national interest. I realise its not a good comments to make about another country. I follow the presidential debate in US. It's quite disheartening that justice does not prevails. US people are struck between evil or lesser evil. You're just off-topic, my point was that your comments didn't really have much to do with the article. Doesn't really contribute to the subject matter at hand. Not to be rude. That's more than a little. If China is so hell-bent on slowly pushing out Apple, Google, Samsung, and everyone else. Why don't they just withdraw from the country and let China do what it wants? That seems to be the way things are headed anyway. I don't see the point in fighting that. Samsung is handling it way badly for other countries. China is a massive market and they should've put more heart and soul in there too when dealing with this case. Most of the mid and low range smartphone business is coming from Asian market. If Samsung lose that place they will be in a huge s**t pit. Excepts the overwhelming majority of the devices sold in China were not affected by this. It was only a small handful of phones, at least according to this article. A couple thousand. I'm not sure whether or not Samsung made more of an effort to reach out to those people personally, but either way it wasn't a recall that was even a fraction of the size of the one in the US. This is more about protectionism than anything else, at least it appears to be so to my eyes. When taken in the context of what has happened with Apple and Google over the past few years.